Lyle’s Flying Fox is a megabat belonging to Pteropodidae family. They are mammals and their origin is Asia. Lifespan is about 20 years or more depending upon the captivity. Roughly these bats weight between 600-1000 grams. Gestation period is for flying fox is about 150 days. 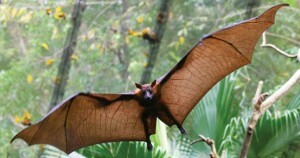 Lyle’s Flying Foxes are one of the biggest bats in the world. Some of them have reach (wingspan from one wing to another wing) up to two meters. They are social bunch of species that forms group of large colonies and rest on the trees. As per the IUCN (International Union for the Conservation of Nature) the population of Lyle’s Flying Fox is reducing from the past 10-15 years. Distribution: These Foxes are majorly found in Thailand, Vietnam, and Cambodia and in Yunnan province of China. 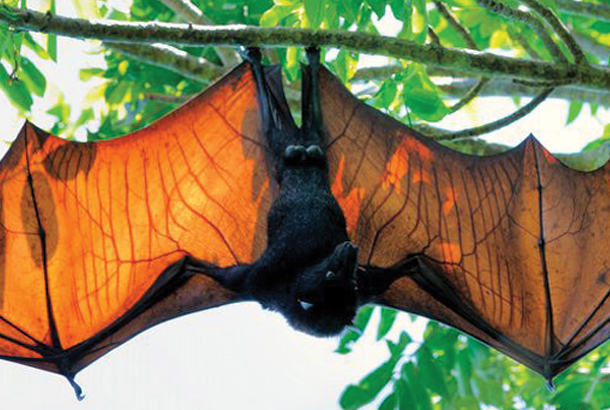 Habitat: The most comfortable habitat for Lyle’s Flying Fox is Tropical Forest. Diet: Lyle’s Flying Fox consumes rainforest fruits and Riparian Zone (i.e. areas between land and river streams) Flowers and from Myrtaceae. Journey To The Jungle welcomes everyone to explore the wilderness, adventures and thrills of Mother Nature. Share exuberating experience of Bangkok’s most loved destination at the Khao Kheow Open Zoo. Enjoy the view of Lyle’s Flying Fox and have fun with loving family and friends in the best zoo of Bangkok.